Sterling and I spent most of the week camping near the North Rim of the Grand Canyon where the temperatures were around 70 degrees (it’s in the 90s at home!). It was beautiful, relaxing, and cool! Earlier this year I decided to give my mom and sisters similar gifts designed especially for them. I posted Vonna’s in February, and since Leslie’s and Mom’s birthdays are in the same month, I’m sharing them together. We all have similar taste so I hope they like their hearts as much as I do! Mary Ellen Byler and her sister Kara spent a few warm and sunny days in Salt Lake City to celebrate her million-milestone achievement. This year’s Gardner Grand was packed with activities…maybe too many, but we had a great time! This unconventional packaging, a “wood” crate, adorned with the traditional hunter’s orange and elements of nature, filled with a shotgun shell and casings (one containing birthday money), represents one of Jason’s hobbies…hunting with his dad and friends. 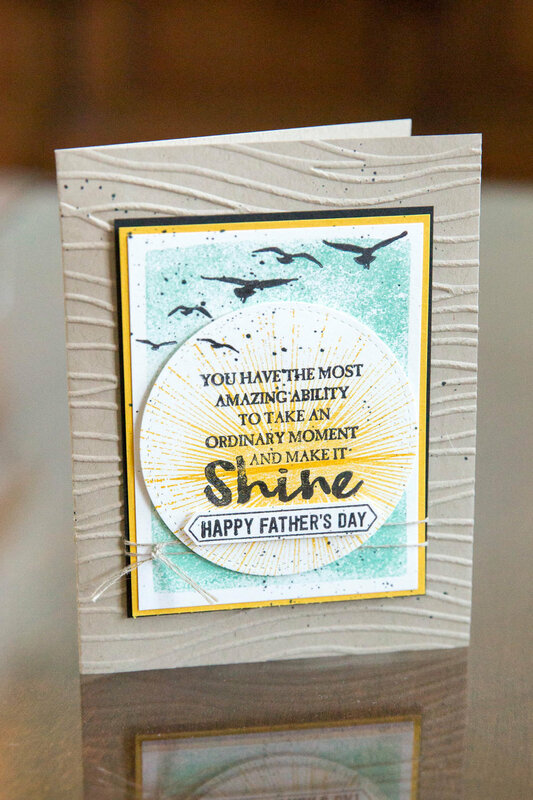 I hope this will inspire stamped creations for the hunters in your life. It was a full weekend, and we had a hard time leaving, as usual. Our time with Shanna and the kids is always too short! This morning was special as Sidney experienced her first session in the temple. Seeing her dressed in white made me a little emotional. She’s so beautiful—inside and out! We’re proud of her for the decisions she’s making, and it was sweet to be with her and other family members in such a sacred place. Over a year ago, our friends invited us to go four-wheeling in the mountains of Colorado. It’s been on our bucket list, so we booked a cabin at the KOA Campground and anticipated the adventure with Garth and Becky and their family and friends. Our summer family reunion was held at the Pine Creek Mine with over seventy family members and friends gathered together. We had an awesome time, and the sampling of photos here (warning...there are a ton!) will help us all remember this unique experience for generations! 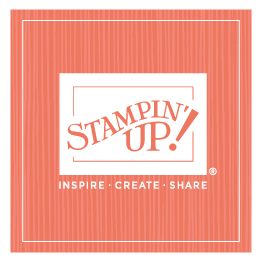 Thailand was truly a trip of a lifetime, and it did my heart good to be with Stampin' Up! friends and family! A highlight for me so far here in Thailand was our visit in this cool contraption to a local village, stopping at several homes, and learning about how the people live. Such a beautiful country and beautiful people! Steffi is the first European to achieve such an incredible milestone, and we're so proud of her! Sweet Mary Ellen has achieved a million in sales...very deserving of an over-the-top card! A cool seventeen-year-old probably cares more about the birthday gift ($$) than the simple packaging, right? Not everyone went on our annual Lake Powell trip, but those who did will remember this one for a long time! Ashton turned twelve at Lake Powell—a longtime tradition for him. Instead of wrapping his parents’ gift in traditional wrap, his gift wrap was personalized with hand drawn lettering and drawings by family vacationing at the lake. Since Ashton likes all things camouflage and enjoys shooting targets with his bow and arrow, our gift packaging was personalized too—with stamps and ink!